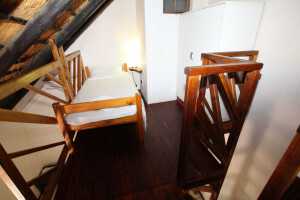 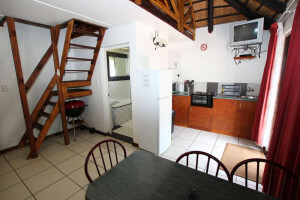 Air-conditioned Family unit consisting of 2 rooms. 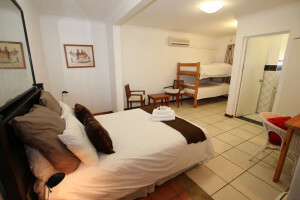 Room 1 a bedroom with a Queen size bed, double bunk bed and en-suite bathroom with shower over bath. 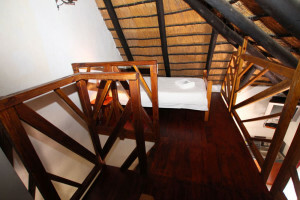 Room 2 is a open plan fully equipped kitchenette with breakfast area and lounge, a 2nd bathroom and 2 single beds in the upstairs loft area. 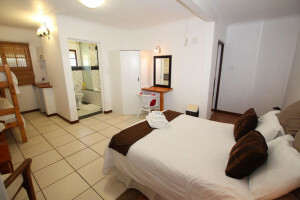 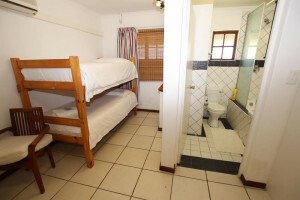 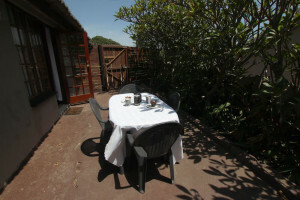 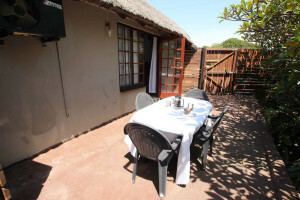 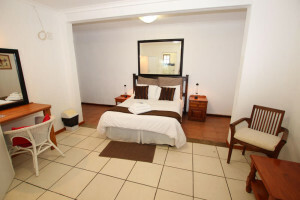 Has a separate entrance which opens out onto a small patio area with table, chairs and portable braai/barbeque.